للمسافرين الذين يرغبون أن يعيشو كل ما تقدمه راروتونجا, Moana Sands Beachfront Hotel هو الخيار الأمثل. يمكن من هنا للضيوف الاستمتاع بسهولة الوصول إلى كل ما تقدمه هذه المدينة النابضة بالحياة. يوفر الفندق بفضل موقعة الجيد وصولاً سهلاً إلى أهم معالم المدينة.
. يقدم Moana Sands Beachfront Hotel خدمات لا غبار عليها وكل أشكال اللياقة وحسن الضيافة اللازمة لإسعاد ضيوفه. يمكن الاستمتاع بمجموعة من الخدمات على أعلى المستويات في الفندق كمثل تخزين الأمتعة, التوصيل من وإلى المطار, قاعات اجتماعات, رعاية أطفال, مرافق للشواء. تنعكس أجواء Moana Sands Beachfront Hotel في غرف الضيوف.مكيف هواء, شرفة/ تراس, تلفون, تلفاز LCD/ شاشة بلازما, ستالايت / كبل تلفاز هي بعض الميزات الموجود في العديد من الغرف. يمكنك طلب اللائحة الكاملة للخدمات في الفندق ومن بينها تدليك, حديقة, رياضات مائية (غير-آلية). يشكل Moana Sands Beachfront Hotel بخدماته الراقية وموقعه الممتاز، قاعدة مثالية للاستمتاع بإقامتك في راروتونجا. لن تقبل مجموعة منتجعات موانا ساندز (Moana Sands Group) أي حجوزات جديدة لحفلات الزفاف في الموقع. ويتمثّل الاستثناء الوحيد لما سبق في حالة شراء المنتجع بالكامل. يمكن نقل ضيوف الفندق من المطار مقابل رسوم . لذا برجاء استخدام التفاصيل الواردة في البريد الإلكتروني الخاص بتأكيد الحجز للاتصال بالفندق مباشرة وترتيب نقلكم من المطار . 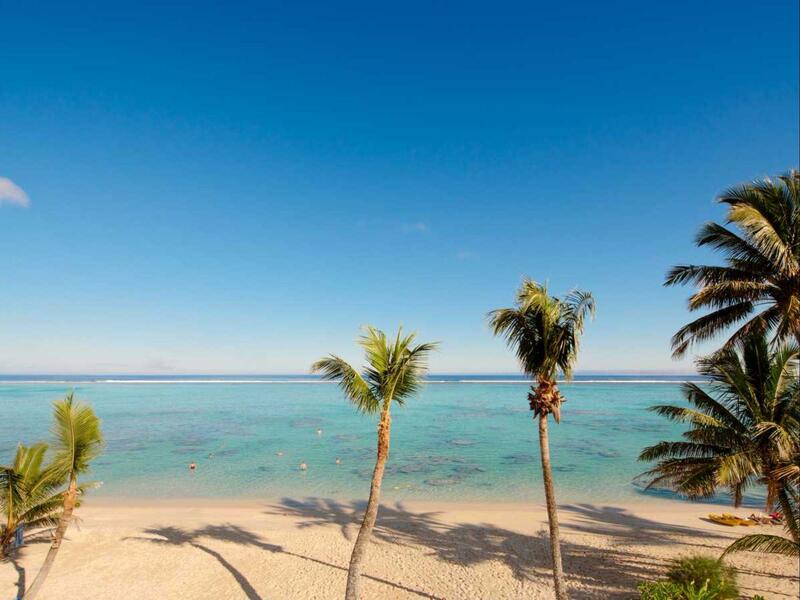 One of the best hotel in Rarotonga. We have our wedding here and everything was perfect. Love the staff and the manager. My friend and I enjoyed our stay at Moana Sands Beachfront Hotel. We had ground floor rooms so was a very short stroll to the water. Room had a small kitchenette, which came in handy. There were only two channels on tv, one of which had non stop rugby so make sure you load up your tablet/laptop with movies unless you’re heading out every night. We were able to use the kayaks, but there were no stand up paddle boards, which was disappointing. We walked to the resort next door, which is part of the same hotel chain, but we weren’t allowed to use their facilities or equipment. A short drive from Muri town, but if you’re walking, walk along the beach instead of the road - it’s quicker. We ate at the restaurant one evening and for breakfast everyday and the food was good albeit a very simple continental breakfast. All up, a great resort with a fantastic beach. The hotel is located in the Titikaveka area (south) and has its own beach front access. 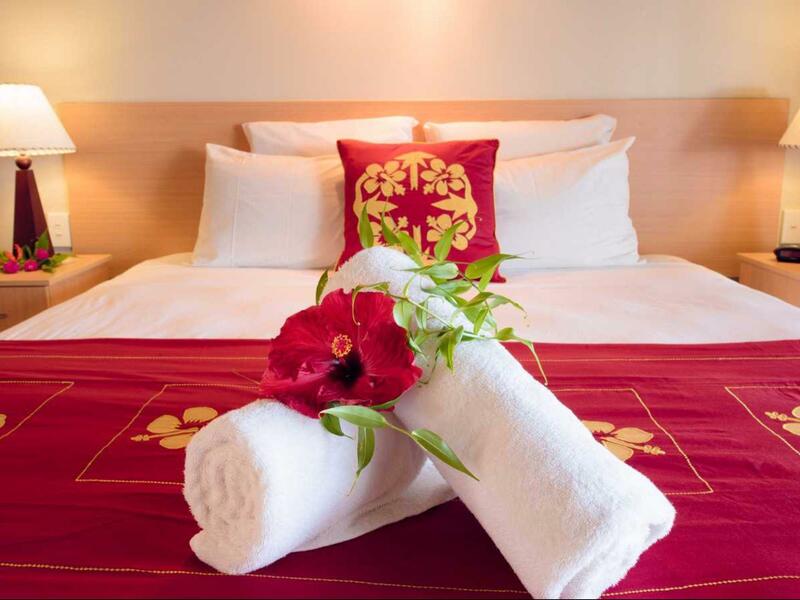 The rooms are clean and the staff are very friendly. 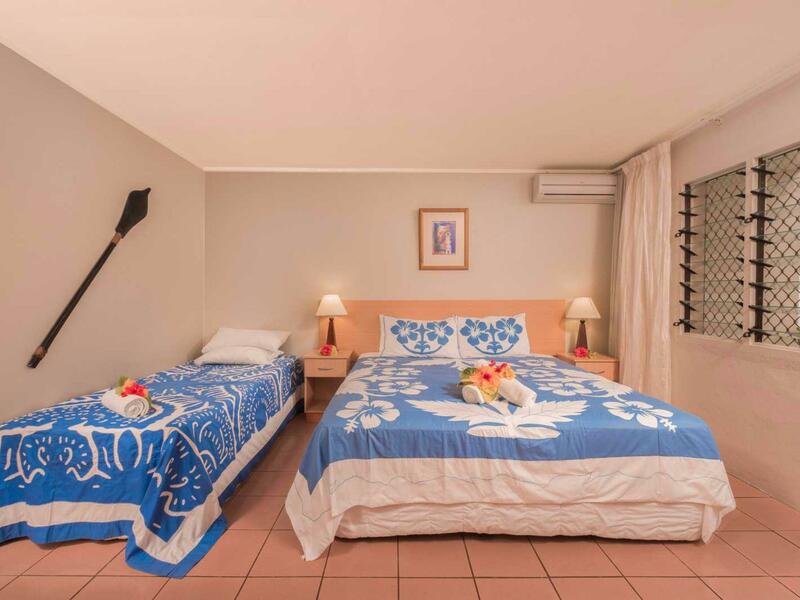 Rooms have air condition and request the ground floor so you have direct access to the beach from your room. The island only has 2 tv channels and WIFI (paid) is not stable especially when it rains. The snorkelling is fantastic so bring your snorkel gear. The hotel provides kayaks but not stand-up-paddle-boards. I would prefer to stay here than at Muri Beach where it's very touristy although there are lots of restaurants to choose from however if you hire a car that won't be a problem to get around the island. I would definitely stay back at this hotel. Really good hotel, Me and my friend stayed 7 nights and it felt like home! The staff there are so friendly and their hospitality will not be forgotten! Thank you so much to Wayne especially and the ladies who'd straighten out our rooms . Even the hotel guests we met who were staying there, were saying how much better Moana Sands was as compared to their other stays at 5-star hotels. Its right by the beach, we spent so much time there and it is not crowded at all. Very peaceful, would definitely recommend this. Already thinking about my next trip! The morning breakfast is a bowl of delicious fruit salads, pawpaws, milk, cereals, juice, tea, and coffee. I must say, the bread was really good as well. The only downside we experienced during our stay was that we found the plates to be a little dirty when going for breakfast. Also, the TV has three channels but you dont even need a TV when you go to Rarotonga. It is a beautiful place. Apart from that, it is a great value for your money! Die Lage der Unterkunft- direkt am Strand- ist konkurrenzlos.